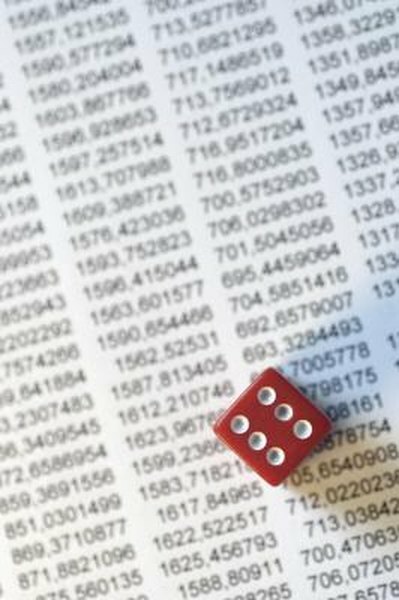 Day trading can be a roll of the dice unless you know what you're doing. Day traders on the New York Stock Exchange, and most any other exchange, attempt to make profit from the frequent purchase and sale of stocks. They are often independent traders who operate alone and absorb any risk or losses without the backing of a financial institution. Day traders tend to use online brokerages to make trades as they see fit. The better you understand the day trading game, the more likely you are to be successful. Just as you monitor flailing stocks, keep an eye on your over-performing stocks. When you get accustomed to making profits on a given stock, you may become complacent and expect it to continue to pay off. Watch for signs of slowdown or downturn, and get out as soon as you can to avoid turning your pluses into minuses. If you do take a loss as a result of circumstances beyond your control, chalk it up to experience and move on. Don't let it weigh on you or your next trade. Devise a system that makes sense to you and allows you to make trades based on simple and clear guidelines. Stick to your system no matter how tempting it may be to stray because consistency is one of the key factors to trading success. If you have no real foundation, you are destined to fail. Keep on top of every trade you make so that you can spot problems and act immediately if necessary. When you see negative signs, get out as quickly as possible to minimize any losses. The more you salvage, the more money you'll have for the next big trade. It seems like common sense to buy low and sell high, but many day traders find themselves waiting for the right time and missing it completely. For example, say a stock is at $2 per share and after one week it begins to rise slowly. If you have done your research on the company and want to buy, don't get caught waiting to make sure this is the next big thing. Instead, be prepared to buy and pull the trigger before you miss out on any profit. At the same time, don't try to guess when a high-value stock has fallen so low that a rebound is inevitable. Never assume a bottom is just around the corner. Use a mock account to make fantasy trades and refine your system and skills. Treat the process the same as you would if the money were real, and learn what works and what doesn't without real risk. Once you are confident in your methods and are not afraid of taking a loss, switch to the real thing. Keep track of every trade you make, as well as the ones you merely consider, in a notebook. This trade journal will provide guidance long into the future. Avoid jumping into the fray right when the NYSE first opens and when it is about to close. The flurry of activity that takes place can lead to inaccuracies in pricing and false trends. Wait until the waters have calmed, then wade in.